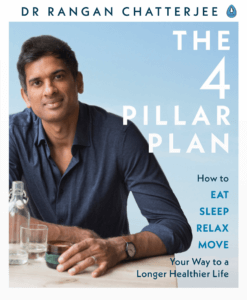 In keeping with the advice in his first book, The 4 Pillar Plan: How to Relax, Eat, Move and Sleep Your Way to a Longer, Healthier Life, Dr Rangan Chatterjee and I turn down coffee (it’s after midday) and sip sparkling water instead. We also ignore a large plate of biscuits that has been thoughtfully provided in the Penguin HQ boardroom where we sit. The second story concerns the author’s son, now aged seven, who fell desperately ill as a baby when the family was on holiday in France. The cause turned out to be an easily rectified vitamin deficiency, but Chatterjee was racked with guilt. “He’s a happy, thriving kid now, but why did I, his father, a doctor, know nothing about this?” The incident made him question everything: the way he practised, and also what they didn’t teach him at medical school. “Our training is brilliant for acute disease. And 30 years ago, that’s what GPs were mostly seeing. 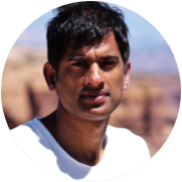 The problem is that the health landscape of this country has changed, and the conditions we’re seeing now are, in my opinion, largely the result of modern lifestyles.” In the cause of changing wider practice, Chatterjee has created a course for the Royal College of General Practitioners, which has just been accredited. Entitled Prescribing Lifestyle Medicine, Chatterjee’s goal is for 1,000 doctors to have taken it by the end of 2018. The last author I interviewed with this degree of passion for a cause was Joe Wicks. Indeed with The 4 Pillar Plan, Penguin Life believes that Chatterjee will “do for health what Joe Wicks has done for dieting”. I feel so invigorated after my consultation with the good doctor that I, for one, wouldn’t bet against it. The basic idea is simple. Because every part of our body affects, to a greater or lesser degree, pretty much every other part, we need to take a much more rounded view of treatment, one that considers every aspect of the patient’s daily life. How well do they sleep? What do they eat? Are they sedentary at work? Are they constantly consulting their smartphone or tablet? This is what I call the “threshold effect”. The connected system that is in the human body can deal with multiple insults in various places—up to a point. And then the system begins to break down. The point at which it breaks down is our own unique personal threshold. When talking to patients, I liken it to juggling. Most of us can juggle two balls, even three or four. But when we throw that fifth one in, all the balls get dropped. We get sick. That sickness might manifest itself as a skin complaint or a blood-sugar problem or a mood disorder or difficulty sleeping. These complaints are signals that things—usually more than one—are going wrong elsewhere in the body. My approach prioritises the cause over the symptoms. 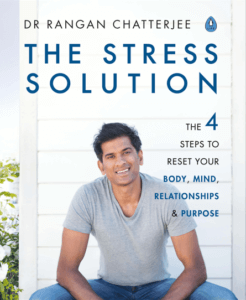 The point of this book is to give you a simple, actionable plan to do the same. I want to go beyond the sort of health advice we’ve all been reading about for so long —beyond the fad diets and the quick-fix exercise programmes. We have overcomplicated health—I want to simplify it.